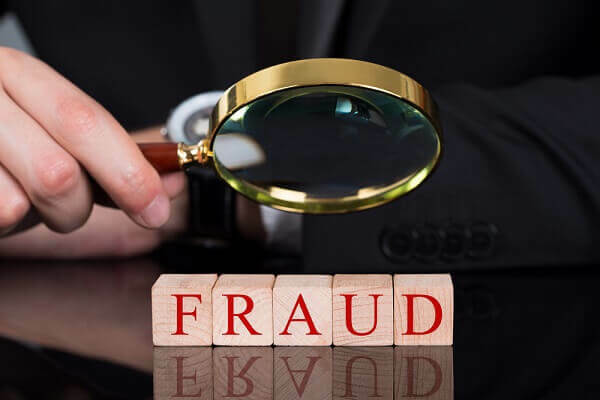 If Your Business or Practice Is Being Targeted in a Medicare Fraud Investigation, You Need to Hire Experienced Defense Counsel in Order to Avoid Federal Charges. Facing a Medicare fraud investigation is a serious matter. Federal authorities use data analytics software to constantly monitor health care providers’ billing practices, and audit contractors working with the Centers for Medicare and Medicaid Services (CMS) conduct audits on a routine basis. As a result, if your business or practice is under investigation, this generally means that the government has reason to believe that your billing department has submitted improper claims that are subject to recoupment. You are going to be fined or imprisoned. An investigation could eventually lead to each of these consequences. But right now, you need to focus on the present. This means hiring experienced defense counsel to intervene and resolve the investigation without charges being filed. While Medicare fraud investigations targeting legitimate health care providers are more common than ever before, the government still does not target just anyone. If you are facing an investigation, the government has likely been looking into your business’s or practice’s Medicare billings for some time. This means that you are coming into the investigation at a disadvantage. To level the playing field, you need to intervene in the investigation as soon as possible. This means hiring defense counsel to make contact with the federal agents and prosecutors handling the investigation, putting a stop to any investigative practices that exceed the scope of the investigating agencies’ authority, and working proactively to terminate the investigation as quickly and favorably as possible. The longer you wait, the more time the government has to build its case against you and the more difficult it will become to convince the prosecutors that it is not worth continuing to pursue your case. In order to assert an effective defense strategy, you need to know as much about the government’s investigation as possible. While it will be possible to solicit some information from the agents and prosecutors handling the investigation, an experienced health care fraud defense lawyer will be able to glean key facts simply from the posture of the investigation. What agencies or task forces are involved? What types of investigative tools are they using (e.g., civil investigative demands or judicial subpoenas)? Was the investigation triggered by an unfavorable audit determination? Is the government working with a whistleblower or confidential informant? Are other businesses or providers being targeted in the same investigation? The answers to these questions – and many others – will all help determine the steps you need to take to protect yourself. Most Medicare fraud investigations start out civil in nature. This means that the government is seeking recoupments and other financial penalties, but the target is not currently at risk for criminal prosecution. If your investigation is still civil in nature, you want to keep it this way. And you will need to structure your defense strategy accordingly. The government needs evidence in order to pursue civil or criminal charges. When facing a federal investigation, you are the government’s best source of evidence. Federal agents and prosecutors have a variety of methods for obtaining information from the targets of their investigations. And while certain disclosures will be mandatory, you have every right (and every reason) to disclose no more than the absolute minimum that is legally required. Protecting communications and documents that are subject to the attorney-client privilege. Flaws in the investigative process can have consequences ranging from false allegations to evidence being deemed inadmissible at trial. When defending against a federal investigation, identifying flaws that would harm the government’s case if it went to trial can be an extremely effective way to prevent charges from being filed. Another option when seeking to prevent charges from being filed is to raise affirmative defenses to the allegations against you. For example, if the government is alleging that you paid or received illegal referral fees using Medicare-reimbursed funds, your attorney may be able to successfully argue that an Anti-Kickback Statute safe harbor applies. Ultimately, when facing a federal investigation, you want to try to gain control of the process. If left unchecked, a Medicare fraud investigation is highly likely to lead to federal prosecution. But, if you can call out the government’s mistakes, strategically limit the information you provide, and make clear that you are fully prepared to assert your legal rights in an aggressive defense, you can substantially reduce your risk of facing sentencing at trial. Is your health care business or practice under investigation for Medicare fraud? If so, it is imperative that you seek legal representation immediately. To discuss your intervention and defense strategy with federal attorney, Dr. Nick Oberheiden, call (888) 356-4634 or inquire online now.